The Winter Olympics ended two weeks ago but Scarlet wants more. She’s in luck, because the Paralympics are being televised for the first time. 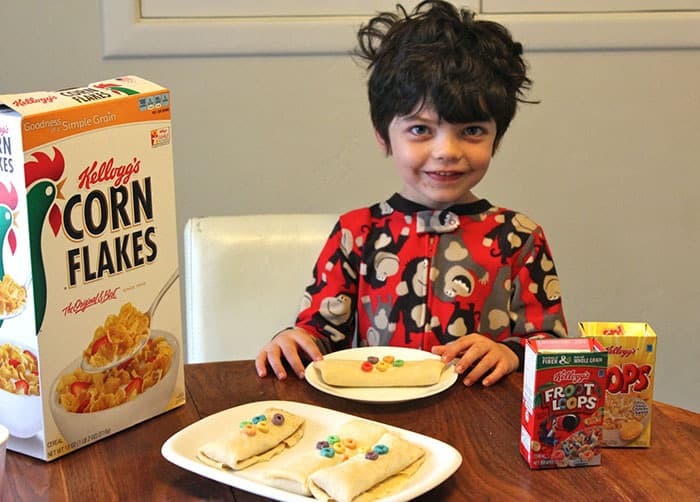 In fact, that’s part of reason I got involved with #GreatStarts on the Kellogg’s Team USA website. Para-snowboarder Amy Purdy has totally inspired us. She lost her legs due to complications from Meningitis. 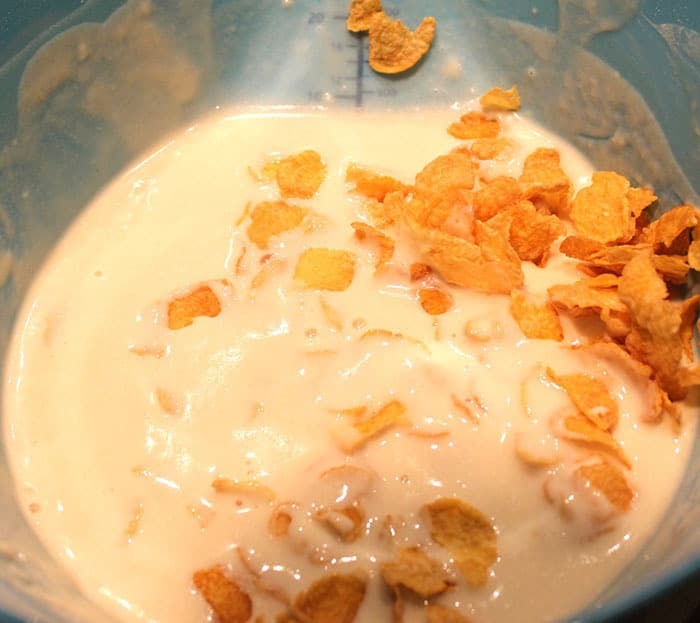 One of Amy Purdy’s tips is freestyle cereal; mixing her favorite Kellogg’s cereals. 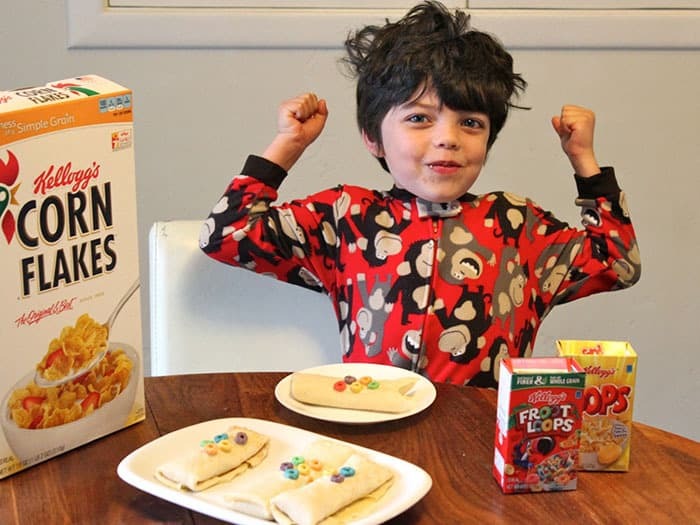 The Paralympics are also being held in Sochi, Russia so my friend Macki and I got together and put a Russian spin on the Kellogg’s #GreatStarts by adding cereal to Blinis. 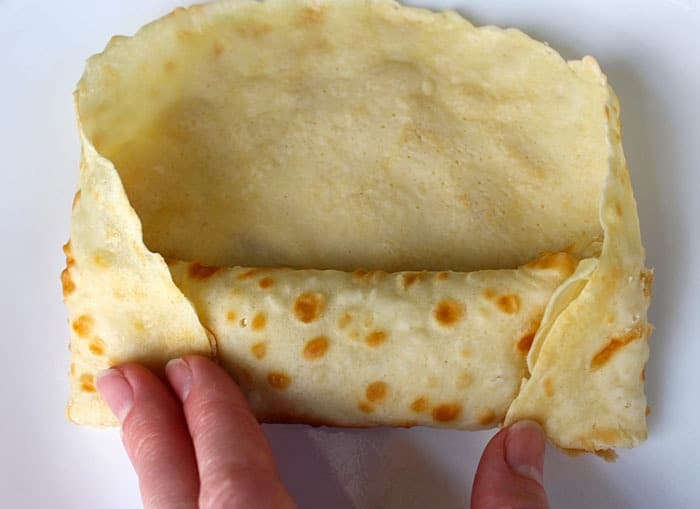 Blinis are a traditional Russian crepe-filled with savory or sweet ingredients. 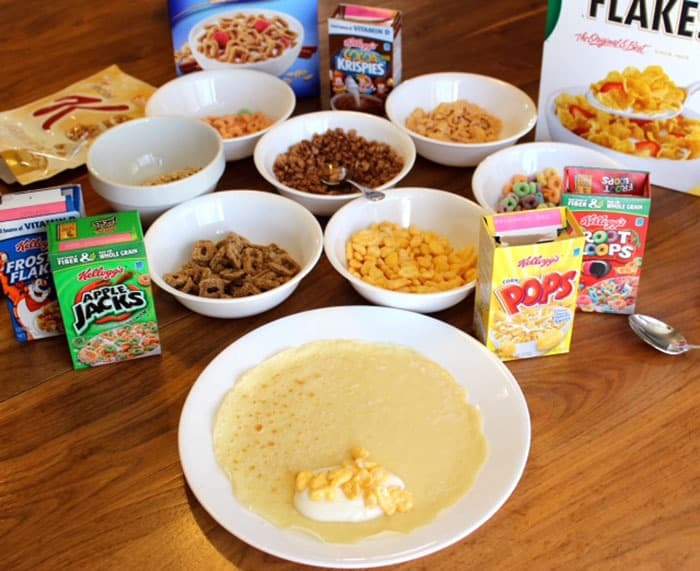 We made the blinis, added a dollop of vanilla yogurt, and then sprinkled Amy Purdy’s “freestyle” Kellogg’s cereal mix over the yogurt. 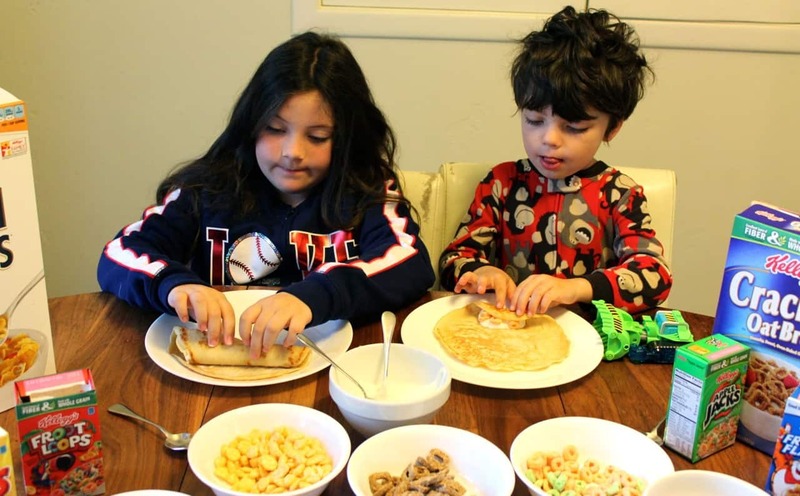 The kids rolled the blini up, folded the ends like a burrito, and voila! 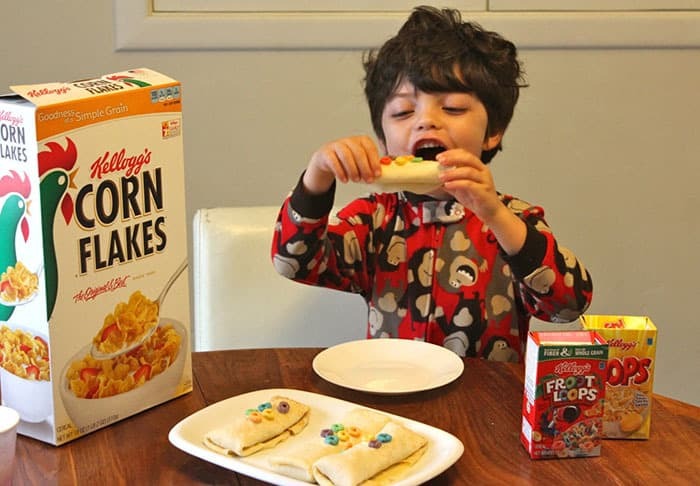 Blini a la Kellogg’s cereal; or as one of Macki’s kids calls them, the Russian Breakfast Bobsled. Genius. 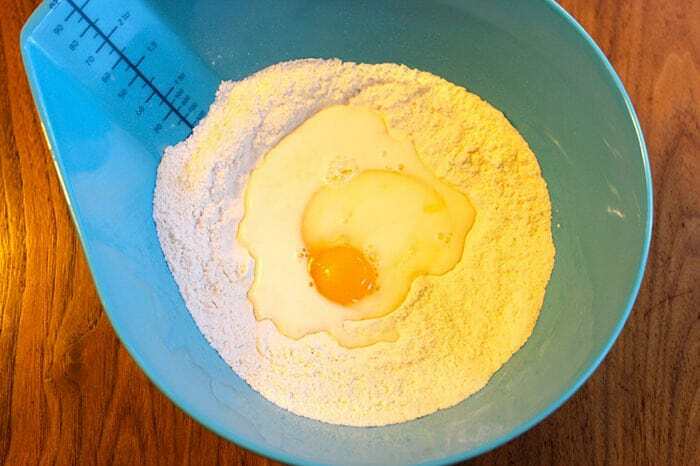 Combine the flour, sugar, salt and baking soda. 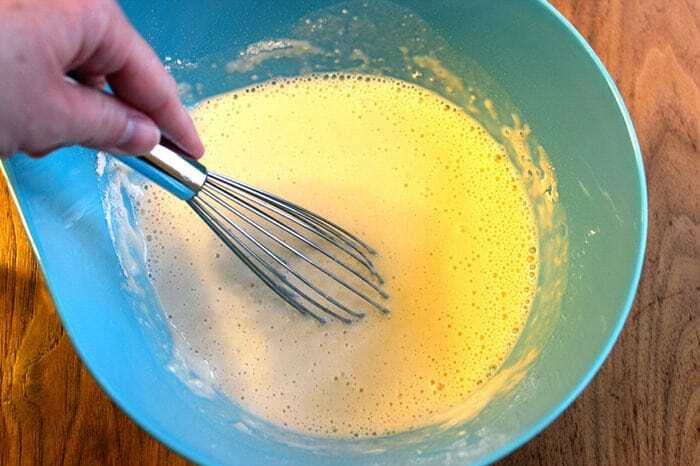 Create a well and add the egg and a bit of milk, begin whisking to combine and slowly add milk until incorporated and batter is smooth. Add the butter and whisk, set aside for 15 minutes. 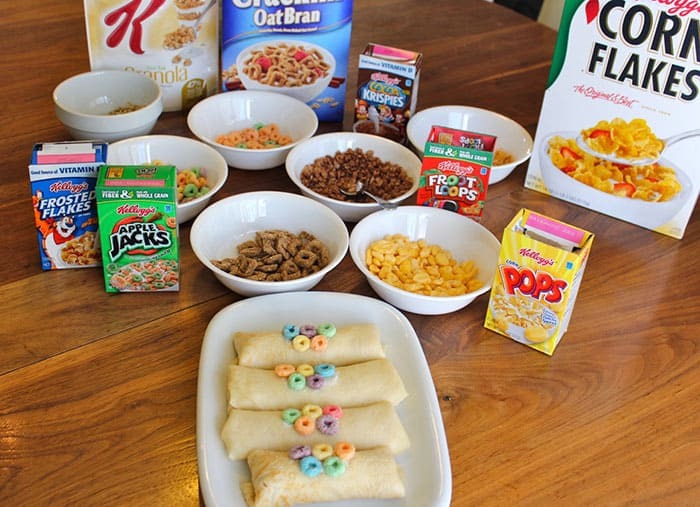 Meanwhile, set up the cereal bar and preheat skillet to medium heat. Spray with cooking spray and pour about ½ cup batter into pan and turn and tilt to coat the bottom of the pan. Cook until top of blini is dry (approx. 1 minute), turn over and cook between 30 and 45 seconds. Remove to a plate and cover. Repeat until all blini’s have been made. 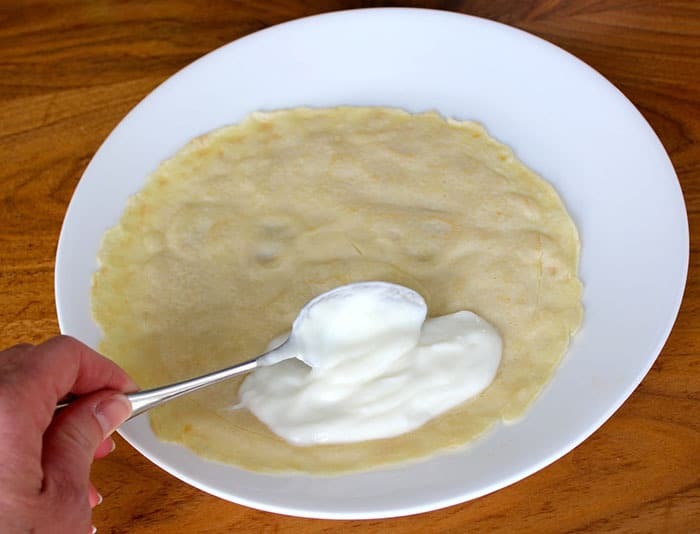 To assemble, place a single blini on a plate and drop a dollop of yogurt on the bottom, cover with desired cereal and roll three quarters of the way. Fold in the edges and roll the rest of the way up. 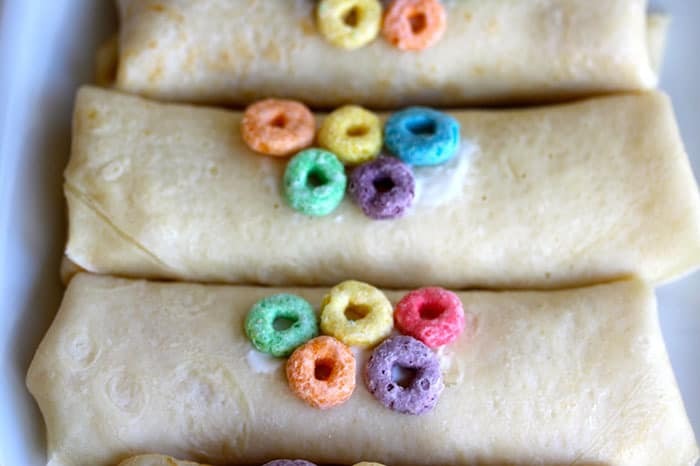 I placed a smear of yogurt on top and added Froot Loop Olympic rings for an added touch. *Traditional blini’s are rolled and placed back into a pan with butter to brown, but since these are filled with yogurt I skipped that step. 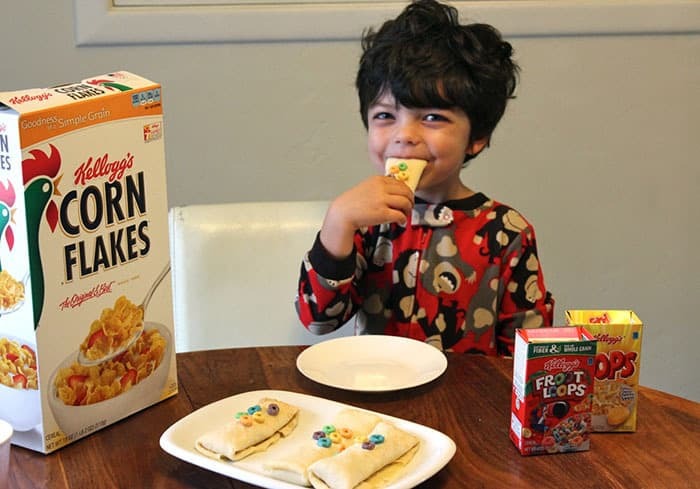 This post is sponsored by Kellogg’s. 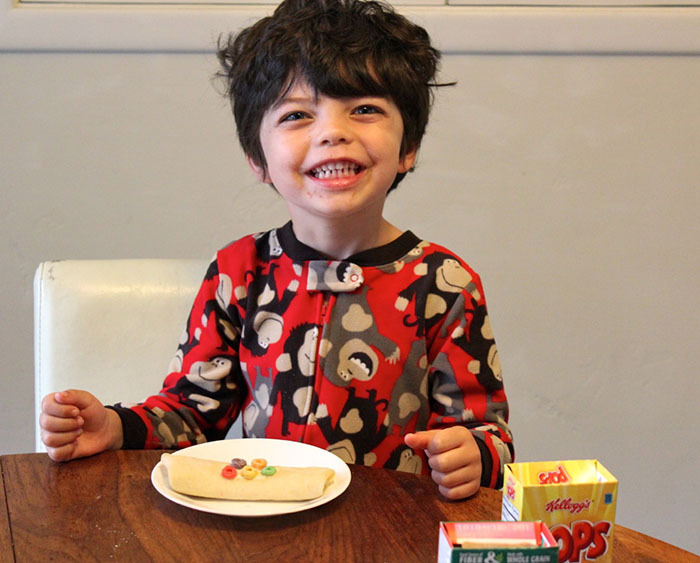 Thank you for inspiring me to make Russian Breakfast Bobsleds AKA Blinis for our kids.